From bird watching to hunting to attending concerts and football games in huge stadiums, there are many reasons to invest in a good set of binoculars. The best binoculars are capable of bringing distant images to life right in front of you, with amazing resolution and clarity making you feel like you are part of what is happening. Imagine having the ability to see every little detail of something far away, but with perfect contrast and clarity, regardless of where you are (within reason). With ecological studies, binoculars can be a great asset, both for checking out a distant wetland community, or observing some wildlife such as raptors. There are lots of options, especially online, when shopping for a good pair of binoculars. And, as the title suggests, there are some great Binoculars for sale on Amazon. ?As with most things, there is a wide range of materials, brands, quality, and price to choose from.? German companies often produce the best glass, for example. That said, there are some things you should consider when looking for a pair of binoculars (whether this is your first pair, or 10th). We hope that this guide is helpful to you in finding the perfect pair of binoculars that meets all your needs, including price. Selecting the correct magnification to fit your needs is very important when choosing binoculars. Remember that you will be increasing the amount of jiggle in the image when you increase magnification, so further is not always better. Some of the higher end brands do use Vibration Reduction (VR), which is often a small gyroscope inside the binos. This technology will help you see more detail from farther away and will control the jiggle. For normal (non VR) binos, I prefer a 10×42 set.? The 10 refers to magnification (10x).? The 42 refers to the size of the lenses (42 mm), 32 is smaller which lets in less light (but is smaller and lighter). The sharpness of the image is one thing that distinguishes a great pair of binoculars apart from a mediocre pair. The coatings and the lenses determine the sharpness of a binocular. The best binoculars will have multi-coated lenses. So, if you need binocular grind lenses with greater precision, expect to pay more because it cost more for the best. You’ll want to choose a binocular with high definition lenses for you to see and identify what you are observing. Less than that and you’ll have difficulty picking out small details from far away. There is no doubt that you will be toting your binoculars through nature. After all, that?s where all the cool things to see are, so you don?t want to be worried if your binoculars bump against a tree or rock. But, note that, if you go for cheap binoculars a light bump can make them go out of alignment. This can be annoying because you’ll see two images, basically making your binoculars unusable. The tube (metal case) can also allow moisture in the binocular if they are not adequately sealed. Some of the best binoculars are sealed with o-rings and filled with nitrogen gas. Look for waterproof and shockproof as labels. For people who wear eyeglasses, eye relief is an important specification. Eye relief is closely related to the field of view, as it is the distance that you can hold the binoculars away from your is a good rule of thumb for people with eyeglasses. With sufficient eye relief, a person that wears glasses is able to enjoy the same field of view as everyone else. Often good binoculars will have eye cups that be raised or lower, to change the eye relief for wearing glasses or not. Nikon Binoculars are one of the best choices today in high-quality, affordable binoculars. The Nikon brand is famous across the world. Synonymous with quality and durability, Nikon has carved out a large market for themselves. The Nikon Company started out small but has grown into one of the most successful commercial lens manufacturers in the world, both camera and binoculars. Their Nikon Monarch 7 ATB is an incredible pair of binoculars, and you can’t beat them for the price, the best part is they are 100% Waterproof, Shockproof and Fogproof, so you don?t have to worry about bringing them with you on adventures. 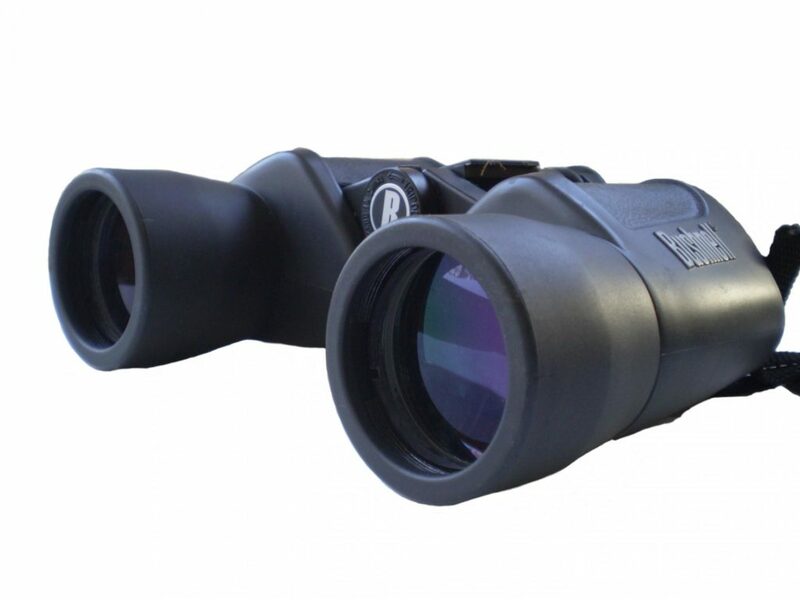 No matter what your outdoor interests are, be it hunting, watching a game or bird watching, these binoculars will give you the feeling of being right there where your image is. The Nikon Monarch 7 ATB, which weighs about 23-ounce is the top of the flock. If you?ve ever owned one of Nikon world-class cameras, you will see that these binoculars have the same Extra-low Dispersion (ED) glass. The ED glass enhances light transmission across the entire visible light spectrum. The binoculars are also combined with coatings that are advanced dielectric roof-prism, which makes the picture seem like those perceived with your naked eye. Overall impression – No matter what your outdoor interests are, the Nikon Monarch ATB 7430 is a great fit and an excellent value. What real customers are saying: ?I bought these binoculars because they were the top rated ones on the moderate priced list by a very influential ornithology organization. You could spend a lot more to get the same quality binoculars in a smaller size, but you probably wouldn’t get better quality binoculars?. You?ve probably seen and heard a lot about different binoculars brands like Nikon, Olympus, and Sony (each one of them are a great option), but one brand consistently stands above the rest, Leica. Leica produces some of the best binoculars on the market today. Many people haven?t heard of them, even though they have been around since the year 1913, but they don?t get the same publicity in the state since they are a German based company. The Noctivid binoculars measure 4.88 inches wide by 5.91 inches high by 2.68 inches deep and weigh 30.3 ounces (moderate right?). Holding it, you will agree with us that it worth the second spot ? just as we expected from Leica. All the moving parts like eyecups, focus wheel, and locking center-dial diopter are smooth. The plasma-coated Schott glass has an eye-popping detail that delivers a stunning picture. There is also a diopter on the one tube that allows you adjust these binoculars to your eye strength using the plus or minus 4 clicks. The focuser is smooth, light and precise as there is nothing like no play or sloppiness while in action and focusing on different depths. Focusing on following birds on the wing is very easy. Overall ratings ? Leica Noctivid undoubtedly prove to be a great design which is easy to work with and which will lead to a simplified experience. The history behind this company is a great one; the owner began a one-man workshop in 1947, and Karl Steiner primary goal was creating optical products so functional, sturdy, and flawless that nothing else could beat. Today, Steiner dream has come to pass, and his products are rigorous and have passed many approvals. The new Steiner ShadowQuest is a perfect match for all of your outdoor activities. The Steiner ShadowQuest are engineered explicitly for rough outdoor use in? cold or hot climates. The Steiner ShadowQuest feels solid in your hand when gripped as they are built with a strong aluminum housing and a durable armor covering. And guess what, these high-powered binoculars are very easy and lightweight to carry about. The Steiner ShadowQuest also has a large center focus wheel that can operate in any weather condition. The binoculars are also capable of filtering out the colors of foliage and haze in order to give you an enhanced? coloration through the green-tinted lenses. Another great thing about the Steiner ShadowQuest is the fact that it comes with the latest Steiner PC-5 optics that provide excellent contrast and superior light transmission dues to their multi-coated lens surface. Overall ratings ? The Steiner ShadowQuest is very durable, so you can count on this equipment’s durability as it is built for harsh conditions. The focusing and using the binoculars are also easy, and it has a very focus wheel. What real customers are saying: “I was impressed it because it’s FOV is 8.5 degrees! Also, weight is about 1kg. I wonder about it optical performance by other users”. The bottom line is that shopping for the perfect pair of binoculars can be intimidating for someone who is not familiar with them, but the above tips for buying the best binoculars should help make it more clear. Also, there are great binoculars for sale on amazon; and as Amazon has proven to be the best and biggest online store, it?s a great place to find the right pair of binoculars. What about you?? Do you have favorite pair of binoculars?? We’d love to hear your thoughts, comment below and share! This entry was posted in Uncategorized and tagged Binoculars.